Start Early! Leave yourself plenty of time to find articles and request books. Read The Assignment: Know exactly what you need to do before you start. It will save you from doing too much work and and will direct you toward where you should start. You can also ask your professor any questions you may have early on. Don't Limit Yourself! Try searching in multiple databases and looking at multiple books. Each resource will give you different results. The more resources you try, the more you'll find! Find More Sources Than You Think You Need: It's always easier to leave sources out of a paper than it is to scramble to find new ones at the last minute. At a minimum, try to find at least five sources per page, even if you only end up using two or three of them in the end. 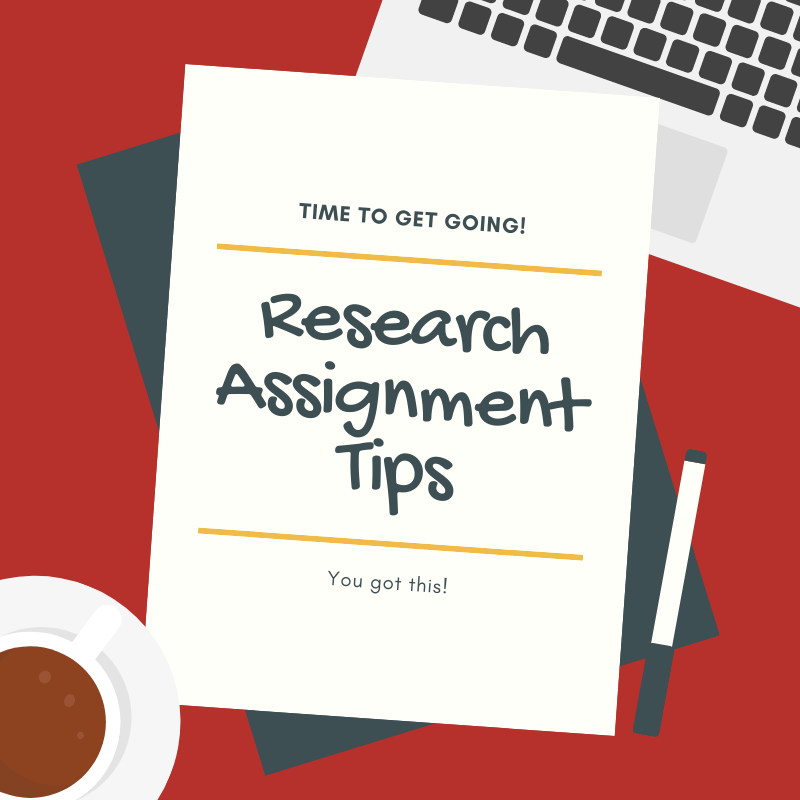 Make an Outline: Before you start writing your paper, outline what you want to say and what information you plan to use to support your argument. It will help you organize your thoughts and sources, and save you a lot of time in the end. Meet With a Librarian: Our librarians can help you find resources and help you get a handle on your thesis and keywords. You can schedule a one-on-one appointment online! This semester is nearing its end and you want to go out on a high note. We know you can do it!